Why buy a classic car in late autumn? 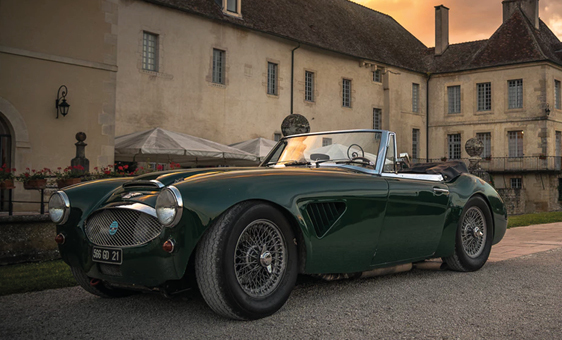 It might not seem like the obvious time of year to invest in a new addition to your vintage car collection, but there are lots of reasons why to buy a classic car in late autumn. Remember ‘classic car’ is a term with no fixed definition – to be exempt from vehicle tax it should be over 40 years old, but some classic car groups accept anything over 20-30 years old, while ‘vintage’ is usually much older and typically means vehicles built between 1919 and 1930. Here are just a few of the reasons why late autumn is the best time of year to buy a classic car, whether it’s an addition to a growing collection, or a single purchase that will be your pride and joy. Under the modern day registration plate system, the ‘main’ registration date each year is in March, as this is when the digits on new number plates match the year – for example 18 for 2018, 19 for 2019, and so on. But historically the autumn has been a much busier time of year. Even now we get the ‘halfway’ plate numbers like 68, 69 and so on in September, 18 out of the 21 A-Y ‘prefix’ plates issued between August 1983 and August 2001 were first released in August or September, and prior to that the new suffix-style registrations from F (1967) to Y (1982) were all released in August of their given year too. That makes the autumn months a key time for vehicles passing the various benchmark ages to classify as classic cars – whether that’s 20, 30 or 40 years under different definitions. It’s bad enough when your car won’t start on a cold autumn morning, but when it’s a classic car, you could be looking at an even bigger repair bill to get it back on the road. However, if you’re looking to buy a classic car to do up, this time of year makes it a perfect buyer’s market, as many current owners will be looking to offload their non-runners rather than face the cost of restoration or over-winter storage. You don’t even need to get it running immediately – just call in a classic car transporter from Ontime and we can safely and securely ship it to your home or workshop ready for you to start tinkering. Finally, don’t think there are no more classic car events on the calendar after the summer is over, as that couldn’t be further from the truth. There are still several more classic car rallies, exhibitions and track days to take place up and down the country before 2018 draws to a close, including the London to Brighton Veteran Car Run on November 4th for some of the oldest cars still running – entry is restricted to pre-1905 models only. If you can find a decent runner on the market at the right price, it’s a great time of year to get involved in this vibrant community of automobile lovers, and brighten up some of the darker, colder days as autumn gives way to winter.